My friend went to Hawaii for her niece’s destination wedding. “I got a big bag so that you can bake with them!”, she excitedly told me as she handed me a 4-cup package of Macadamia nuts. I got excited too. I have never baked with macadamia nuts. I guess they are quite expensive here on the East Coast. I went browsing recipes on the internet. Most recipes were white chocolate with macadamia nuts. I am somewhat of a chocoholic and really?...how did white chocolate get to be called chocolate? As you can imagine from that last statement, I was not about the make anything that did not have dark or milk chocolate in it. My friend loves chocolate chip cookies. These are not my favorites so I actually do not have an old recipe on hand. 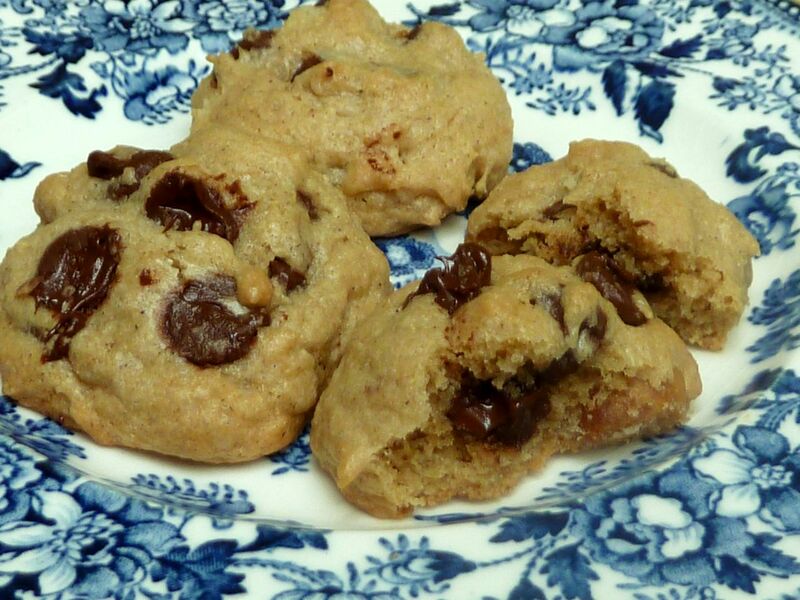 I Googled “world’s best chocolate chip cookie recipe” and read some reviews of various recipes. 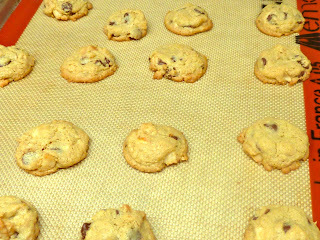 I settled on one from Food.com called World’s Best Chocolate Chip Cookies by Karen. The glowing reviews assuring me that the recipe’s name was well deserved sealed the deal for me. I converted the recipe to GF, added some almond extract and then reduced the sugar to my taste. Most cookies tend to be sweeter than I like. 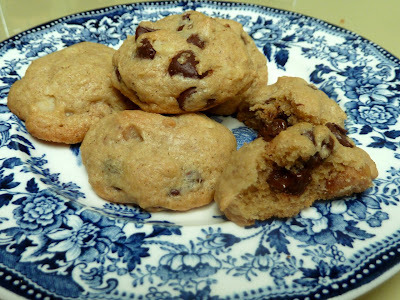 Taste the creamed sugar and butter (or margarine) mixture and add more sugar if you prefer a sweeter cookie, but keep in mind that the chocolate chips will add to the sweetness of the final product. Success, she loved the cookies and said that they were the best she ever had. Everyone else also loved them. The cookies are tender with a texture balanced perfectly between crisp and soft. I made them yesterday and just tried one (one must sacrifice for the blog) to see how the cookies are a day old...they are just as good. 1/2 cup Unsalted Butter - For Dairy-Free use non-hydrogenated, nondairy stick margarine such as Earth Balance Buttery Sticks. 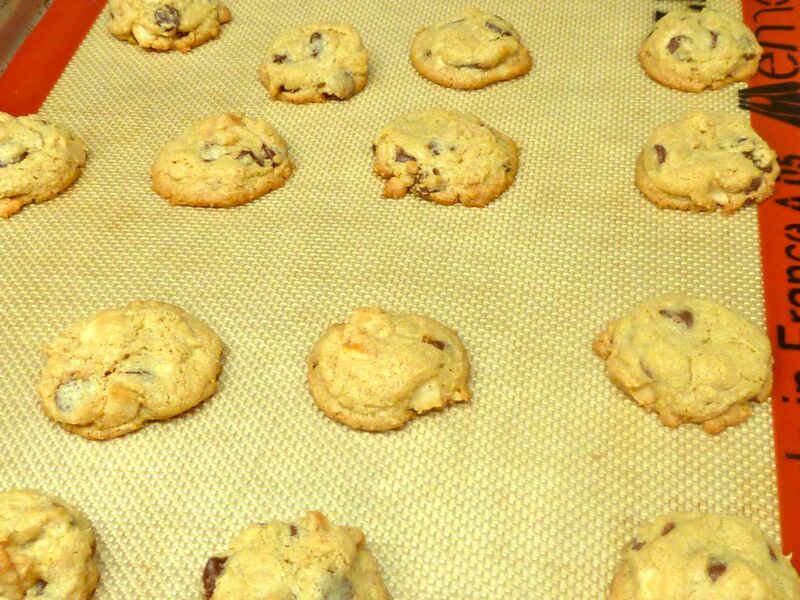 1 cup Chocolate Chips - (for Dairy-Free use non-dairy chips) You can use whatever type of chocolate chips you prefer-even white, I used semi-sweet. 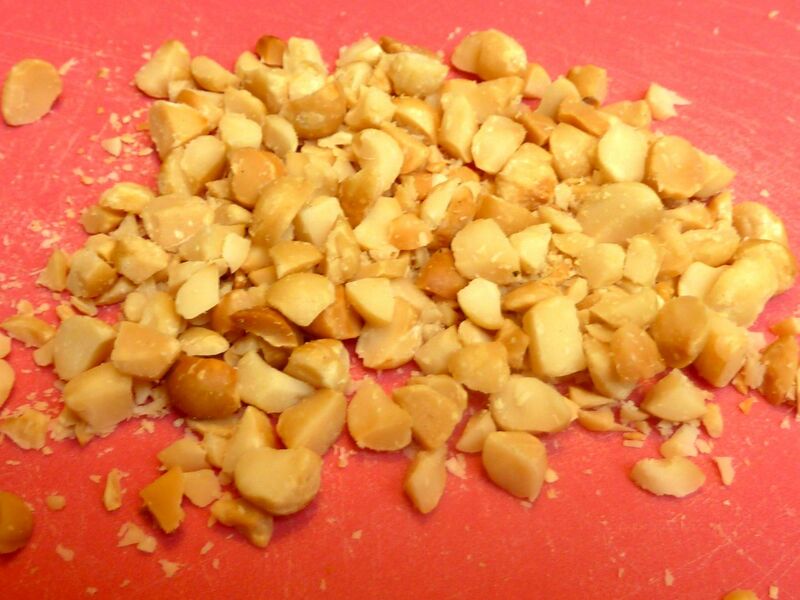 3/4 cup Macadamia Nuts - lightly roasted and coarsely chopped. You can use other nuts such as walnuts, pecans or almonds instead. Preheat oven to 350 degrees. 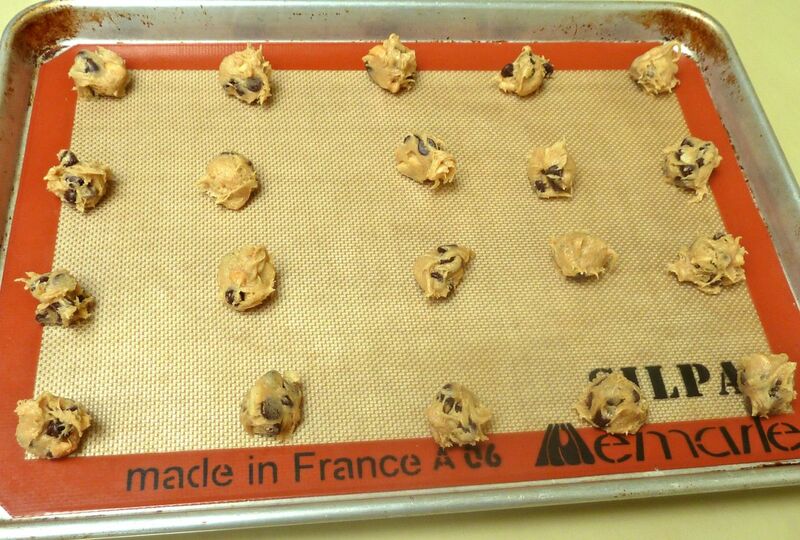 Prepare baking sheets by lining them with silpat pads or parchment paper. Place macadamia nuts on a baking sheet and bake in the oven for about 8 minutes until lightly roasted. Cool. Toasted macadamia nuts coarsely chopped. In a bowl add the flours, salt, baking soda and xanthan gum. Mix until well blended and set aside. 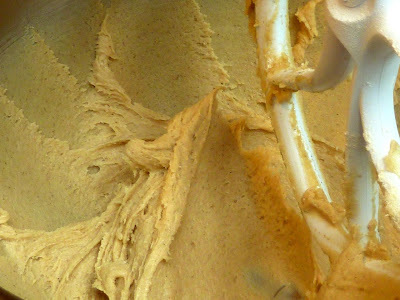 By hand or with an electric mixer cream the butter or margarine and sugars until fluffy. Add the egg, vanilla extract and almond extract and mix until well blended. Add the flour in three batches and mix in well after each addition. 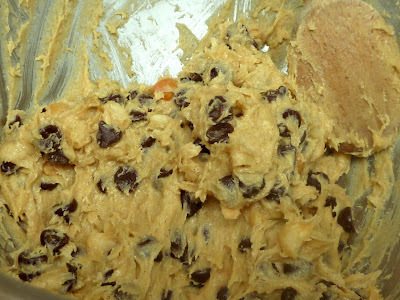 Cookie Dough after all the dry ingredients are mixed in well. By hand, stir in the nuts and chips. Nuts and chocolate chips mixed in by hand. Using a scoop that measures 1” across scoop out the dough onto the prepared baking sheets. Space the cookies 2-inches apart. Dough scooped out onto a baking sheet lined with silpat. Bake 10-12 minutes until the cookies are lightly golden on the edges and the center is not raw. The dairy-free cookies spread out more than the butter cookies.